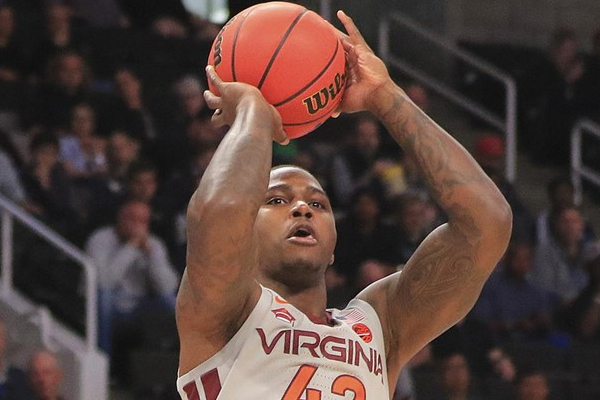 According to head coach Buzz Williams Virginia Tech guard Ty Outlaw will be playing in the Sweet 16 matchup against Duke on Friday despite being charged with marijuana possession. The school hired an outside agency to administer a drug test on the 6-foot-6 senior, and the results returned negative. I wouldn’t be surprised if all those folks betting on March Madness outcomes had put their money on Ty Outlaw’s test coming back positive. Good for him though, and good for the team as they focus on taking on the first seeded Duke Blue Devils. “The disturbance that led to the search warrant occurred while Ty and our team were in California last week,” Virginia Tech coach Buzz Williams said in the statement. “While Ty and our team were still in California, the authorities executed the search. Upon our return to Blacksburg on Monday evening, Ty became aware of the situation and was fully cooperative and transparent with local authorities and me. Outlaw, a graduate student, is averaging 8.7 points and 5.4 rebounds per game this season. He recorded a double-double with 10 points and 11 rebounds in the Hokies’ win over Liberty in the first round.